Hair is one of the best accessories that humans have and since the ancient days, it has been a parameter of fashion and social status. Hair colour too was given a great deal of importance in various cultures. In ancient India, long, raven black tresses were the norm and only “Mlechhas” or people of foreig origin had hair colour other than black. Indians oiled their hair with herb-infused oils to maintain the jet black hair as well as used hair packs made from indigo leaves to give the hair the blue-black tint. Brown, sun-streaked hair was only to be found among people of the lower economic strata since they were exposed to the harsh sunlight daily and did not have the resorces ot time to pamper their hair. 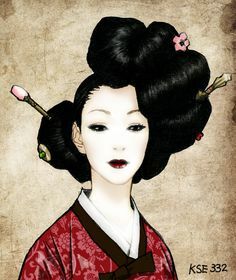 Ancient Japan and China too were admirers of long flowing jet black hair while in ancient Egypt, they liked experimenting with herbs to give brown or red tints to their natural black hair. Contrary to the Asians, the ancient Greeks had a fascination for lighter hair and would use bleach to lighten their naturally dark brown hair. If our ancestors were so obsessed with hair colour, can the present generation be far behind? As Rihanna famously said, “I’ll ever have my hair long and light brown again. It’s too generic.” She is rightly called a hair chameleon and each time she wants to make a fashion statement, she colours her hair…. Every woman knows the power of a good haircut and hair style; it simply changes your entire look. Hair colour too, has the same effect. The right hair colour can enhance your features, make you look younger and more radiant and also make a fashion statement. Of course, it can be the other way around as well. Who can forget when Kim K went blonde and ended up looking like a female version of Draco Malfoy? Closer home, our Bollywood actors aren’t far behind when it comes to experimenting with their hair colour. Most have stuck to the standard light browns and blond highlights or really dark browns. Priyanka Chopra and Bipasha Basu are two ladies who haven’t been afraid of experimenting with their hair colour. L’Oreal Paris India’s brand ambassador Katrina Kaif, who always plays safe when it comes to her makeup and hair, recently coloured her hair a firy red and while I didn’t like her red hair-red lips-red gown look on the Cannes Red Carpet, it did look amazing when styled as fierce curls…. So if you are bored with your same old looks and are contemplating a makeover, before you makeover your makeup and wardrobe, remember to give your hair colour a makeover because that will change your look and make it’s own fashion statement. After all, No Colour No Fashion, isn’t it? And thanks to the Casting Creme Gloss from L’Oreal Paris India, colouring your hair is super easy and fun too! You can do it yourself at home, or you could do it with your BFF to make it a fun evening. The non-drip creme formulation, the easy to apply nozzle in the bottle and the amazing after colour Nutri-shine conditioner will give you soft, smooth and shiny hair with the new colour. Check out what Sonam Kapoor has to say about hair colour….. So girls, what do you think? Ready to make a fashion statement with your hair colour? What colour would you choose for your hair? Let me know in the comments below…. *Disclaimer – This post is part of the #NoColourNoFashion campaign by L’Oreal Paris India. Colour Your Hair With L’Oreal Casting Cream Gloss and Your BFF + Hair Color Myths Busted L’Oreal Casting Creme Gloss Makes Hair Colouring As Easy As 1-2-3. Winner Announced: Casting Creme Gloss Trend Sourcing Contest Win A Hair Is Fashion Makeover From Lakme Salon!